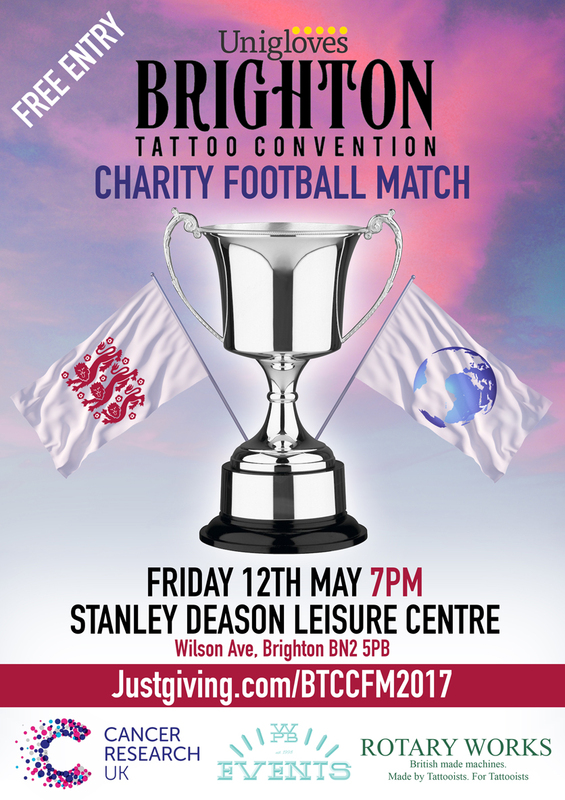 The Charity Football match is back at Brighton for the 2nd year! 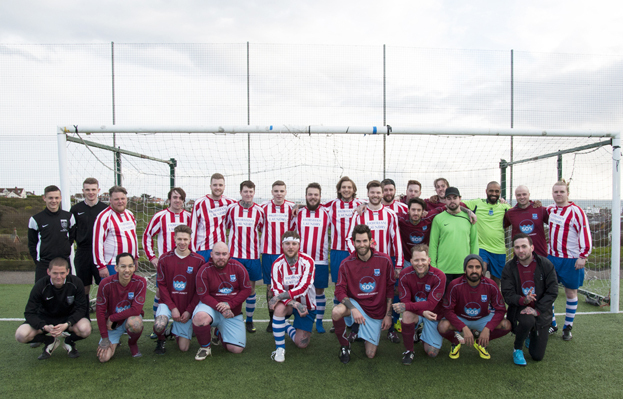 Raising money for Cancer Research UK, this is the 2nd annual football match, organised by Antony Flemming and Ant Cole. Sponsored by the Brighton Tattoo Convention, WPB Events, Uniglove and Rotary Works, it’s set to be a heated match between some of our favourite tattooists! Head over to the nearby Stanley Leisure Center on Friday 12th May, at 7pm to cheer them on.